NATO examines the stakes in Ukraine as soldiers continue to fight. World leaders are meeting Thursday at a NATO summit in Wales to discuss two of the globe's most pressing issues -- ISIS in the Middle East and Russia's actions in Ukraine. I'm CNN Digital writer Ashley Fantz and I'll be blogging all the latest news, analysis and CNN reporting about this critical moment, so check back frequently. With combat operations in Afghanistan ending this year, President Barack Obama announced he plans for almost 10,000 American troops to remain in the country in 2015 if the Afghan government signs a security agreement. 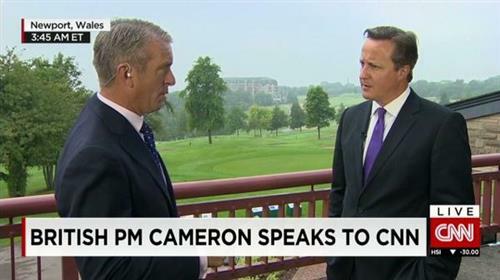 CNN's Nic Robertson is at the summit, talking about ISIS and a possible #ceasefire between Ukraine and Russia. 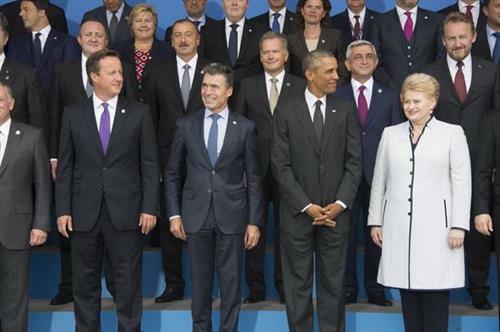 The sound of a thousand cameras clicking -- NATO leaders pose for photos. A plan for peace in Ukraine? Ukraine and Russia's plan for a truce is expected to be implemented Friday, Ukrainian President Petro Poroshenko said on his Twitter account Thursday. Poroshenko's office said he and Russian President Vladimir Putin had agreed on a process that might lead to a peace between Ukrainian forces and pro-Russian rebels. Obama is skeptical, CNN reported. NATO Secretary-General Anders Fogh Rasmussen slams Russia. U.S. Secretary of State John Kerry tweeted the joint opinion piece President Obama and Cameron penned in the Times of London.